Caleb told his Mama (Lacey) that he had another dream about Vienne. If you don't know the history between Caleb and Vienne, read about it here and here. This is not the first dream he's had about her in Heaven…though, I failed to remember to share the last one I heard. Maybe Lacey can remind me. Caleb (7 yrs. old) said that he went to Vienne's new house which was like a little castle made of lots of colors and was built of giant blocks. They played outside on the swings and while they were swinging, Vienne told Caleb that she loved him and she thanked him for being her friend. She was wearing a beautiful rainbow dress and he said she was happier than he'd ever seen her. The sun was shining brightly and he said it was his favorite time that he has ever gotten to play with her. This one broke my overly hardened and embittered facade today. Labels: Grief Support & Love, Misc. 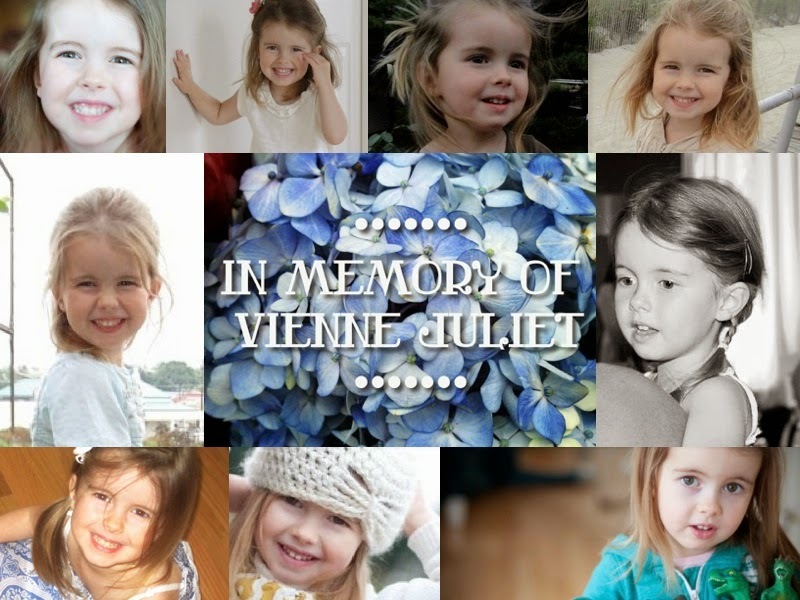 Beautiful picture of your sweet Vienne. Love you Jenny. Wow! That is special.......I can tell their bond was and is strong! Kids aren't as cynical and closed off as we are so I'm sure they have more experiences with these things than we do...just because we tend to lose faith. I was visited by a best friend many years ago, she came during a time in my life that I was so downtrodden and depressed. I wondered for years why it took her so long to show me she still existed but then I realized, she was waiting for a time I truly needed her. Your beautiful Angel is with you! It's been awhile since I've visited your blog, friend. I'd forgotten that I shared this with you months back. I'm thankful that children have such sweet faith and unencumbered dreams. I don't ever prod Caleb to tell me about his dreams, for fear he'll start making them up to please me, but I wait anxiously for him to share the next one with me.